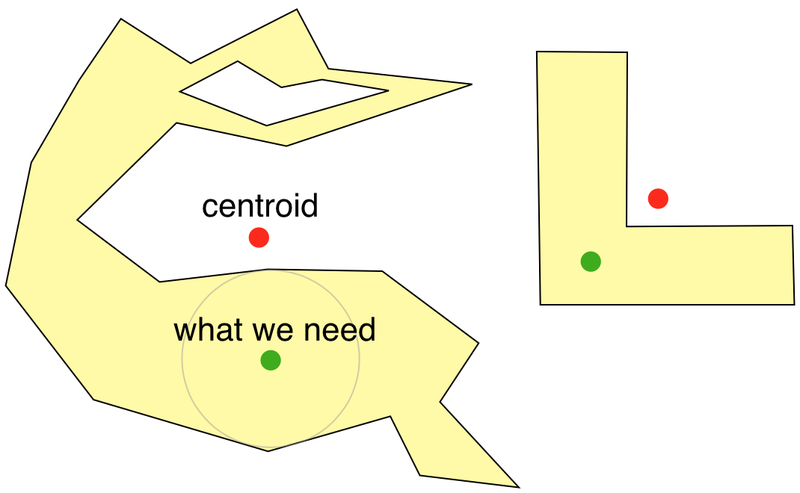 How to determine inner centroids in Geomedia? I wonder if it is possible to determine the inner centroid of a geometry. The CENTERPOINT(Geometry) expression via Functional Attributes should provide the desired result.